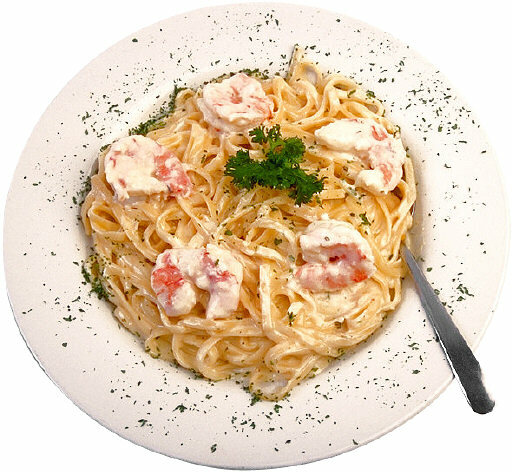 Alfredo sauce is a rich sauce from Italian cuisine that is often served on pasta (especially fettuccine, as in Fettuccine Alfredo), but is also sometimes used on top of pizzas. It is also easy to make! Double or Heavy cream (½ cup - about 120 milliliters, or ¼ pint). Melt the butter in a saucepan on low to medium heat. Add the other flour and mix into form a roux. Add the cheese, cream, garlic, and pepper, whisk together, and simmer (do not allow to boil) until the desired consistency is reached. Alfredo sauce is excellent with pasta, especially with fettuccine - see Fettuccine Alfredo Recipe.